Our medical and surgical practice features some of the finest dermatologists and staff in Central Texas, providing services to treat conditions ranging from skin cancer to wrinkles. 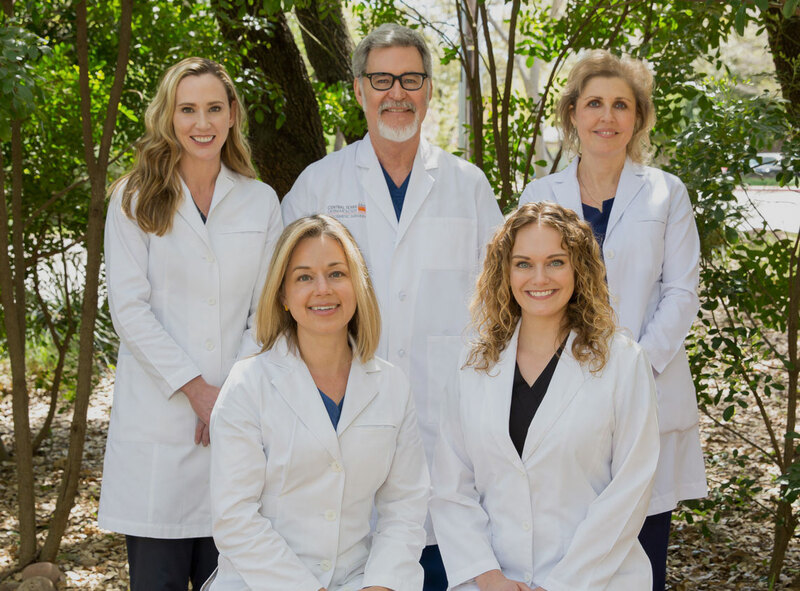 We have a team skilled in Mohs Micrographic Surgery for skin cancer as well as laser treatments, tumescent liposuction and the best in medical and cosmetic dermatology. It is our goal to give you the highest quality medical, aesthetic and customer service in a caring and respectful manner. When you choose a cosmetic surgery treatment, you are in the care of our founding partner, Dr. William Ramsdell. Dr. Ramsdell is an elite specialist, who has achieved the rare distinction of board certification in both dermatology and facial cosmetic surgery. He was a pioneer in cosmetic dermatology — the first to introduce laser resurfacing to Central Texas in the 1990s. Dr. Ramsdell has published numerous authoritative scientific papers on technical aspects of cosmetic surgery and is frequently invited to share his expertise as a speaker at national medical conferences. Treatments are provided in our on-site surgical suites, using local anesthesia — a safer, calmer, and much more economical alternative to a hospital visit and general anesthesia..
Dr. Ramsdell and our licensed aestheticians understand that sometimes dieting and exercise just aren’t enough. They combine years of experience with revolutionary treatments, such as CoolSculpting and Tumescent Liposuction, to target problem areas to help you look and feel your best. Our services are performed on a daily basis- all in the comfort of our surgical suites or on-site medical spa. Schedule a consultation to discuss all of your options and treatment plans, so you can make the best-informed decision about your figure. Consultations with our aestheticians are complimentary.” Learn more about our Body Procedures. Our medical team provides comprehensive treatment for conditions affecting the health and appearance of your skin, hair, and nails. We are achieving exciting results in acne reduction and scar removal. We eliminate spots and spider veins, remove warts, and deliver fast relief from rosacea and rashes. And we are relentless in mapping and monitoring moles. Talk with one of our providers. We’ll explain your condition in detail — causes, treatment options, and preventive measures — so you can make the best and best-informed decisions about your health. "I (and especially my wife) are very pleased with the results. The procedure removed skin "bubbling" caused by rosacea, and resulted in smooth new skin. The most painful parts of the procedure were the initial numbing of the skin by injection needles, and then the first week or so of recovery - frequent washing of the skin was not pleasant. After that, the recovery went quickly and painlessly. I definitely recommend the procedure." Led by Dr. William Ramsdell and Dr. Emily Prosise, Board Certified Dermatologists, SkinCare Austin specializes in innovative anti-aging treatments. Our cosmetic professionals offer personalized aesthetic services to address skin care issues including aging, sun damage, pigmentation, acne. We achieve truly remarkable results with BOTOX® and dermal fillers. Our services are continually evolving to meet the needs of our patients and based on the most current research.